RoShawn and her two children became homeless when the friends they were staying with weren’t able to pay rent and were evicted by their landlord, leaving her family with nowhere to go. 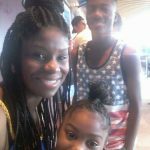 RoShawn had moved to Atlanta from New Jersey to help her friends with their bills and in hopes of a fresh start and a better environment for her children. She had been living off her savings while looking for a job, but losing their accommodations was a major blow. The family was able to stay in an extended-stay hotel for a while, but the hotel was expensive and their steps to a permanent home weren’t clear—until RoShawn found Nicholas House. RoShawn and her children were welcomed into the Nicholas House shelter program, which provided them with a safe place to live and ensured that their basic needs were met while her children benefited from comprehensive Youth Services Programs and she received intensive case management focusing on budgeting and building savings. 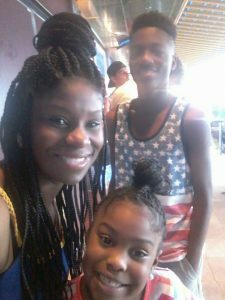 With determination, hard work, and a positive attitude, RoShawn was able to get two part-time jobs that provided her with a 40-hour workweek, flexibility to spend time with her children, and the potential of going full-time. Her family recently moved into a two-bedroom, two-bathroom apartment of their own and she is proud that her children are on the honor roll and she is saving money every month. One day, she plans to be a homeowner. When asked about her experience at Nicholas House, RoShawn says, “It was a blessing from people you don’t even know—to help transition to a self-sufficient environment, to reality, to life.” We are so glad to have helped her and hundreds of other families on their journey to self-sufficiency!